The MIS department examines how information technology (IT) enables organizations to conduct business in radically different and more effective ways. The commercialization of the Internet and the steady stream of innovations have created a seismic change in the business environment. New channels of supply and distribution are emerging. New electronic marketplaces and exchanges are being created. The infrastructure of firms and the industries within which they operate have been permanently altered. This is a fast moving and global phenomenon. 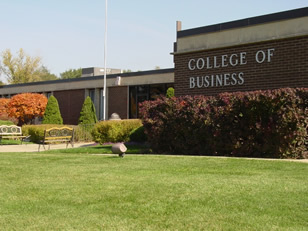 The objective of the MIS department of the College of Business here at Lewis University is to provide our students with a better understanding of the influence of twenty-first-century technologies on business decisions. The dedicated MIS staff here at Lewis represent many years of real-world experience in the area of business computing along with a commitment to excellence in teaching. Our small college environment here at Lewis translates into the advantages of limited class sizes, exceptional access to the faculty and an exceptional learning environment.